Steel is a strong metal alloy that has many applications in manufacturing and other areas. When you need to use steel in your workplace or with at-home projects, it is important to note that there are different types of this material available, and they are not all the same. 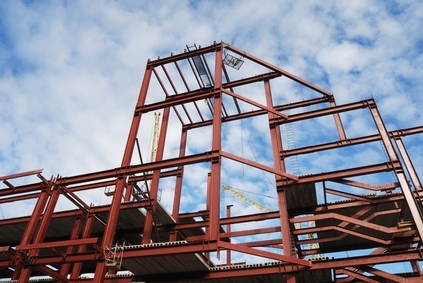 While you may be looking for steel suppliers that provide beams, steel bars or even pipe with specific dimensions, the type of steel used in the making of products is critical to know when making a buying decision. By learning more about the different options available, you can more easily locate the right type of steel for your current needs. While having four main categories of steel to choose from may seem confusing as you make your buying decision, your shopping effort may be even more complicated when you learn that some of these categories have sub-categories and classifications to consider. For example, carbon steel is one type of steel to consider, and it is available in high, medium and low carbon steel types. This classification relates to how much carbon is used in the manufacturing of the steel, and this impacts how easy the material is to weld or cut as well as if the material is more likely to shatter or break after it has been heated. Stainless steel has many applications in the workplace, and you can easily find stainless steel guards, steel bars, beams and even pipes available to purchase. However, you can see that not all of these products are the same, and some may be more useful for your applications than others based on their composition. Take time to learn more about the different types of steel available. Quality steel suppliers will offer you a full range of products to choose from and will take time to answer your questions so that you make a thoughtful buying decision.